Georgia PAWS provides wildlife removal in Douglasville GA and surrounding areas. We offer full exclusion, performed only using our humane methods. Our team is highly qualified to face any wildlife situation. Our staff is trained extensively and holds all of the necessary permits. Our clients and their homes come first. We have earned a reputation of being the best at wildlife removal. We handle wildlife of all sizes, including squirrels, raccoons, bats and rodents. Listed below are the services we provide. Wildlife Relocation in Douglasville, GA With Georgia P.A.W.S. The great city of Douglasville resides less than half an hour from Atlanta. From the Douglas Boulevard Corridor to Chapel Hill, this city boasts some of the oldest homes in the state. Older buildings are susceptible to bats, mice, snakes, and other vermin. We offer both residential and commercial pest control services throughout the city. The Central Business District is considered a historic landmark. The buildings are beautiful and of Victorian design. Mighty Gothic entryways dot the commercial districts, nearby fountains, gardens, and other great features. Lucky are the business owners who build their reputation in this area. If you have a shop along the Arbor Place Mall, downtown, or otherwise, protecting your goods and the historic building are of the utmost importance. Georgia P.A.W.S. is the most comprehensive wildlife removal service in the area. Our team skillfully removes all manner of pests from virtually any building. Whether you have a skunk or a nest of rats, we can locate the critters to a safe haven far away from your property. We use only removal services that are safe for animals and property owners. Our traps will preserve the pests until we introduce them back into the wild. Furthermore, Georgia P.A.W.S. will seal every entry point, so no future infestations can occur. In the event that more animals get in, our company offers all customers a lifetime guarantee. You can feel safe knowing that Georgia P.A.W.S. has your back. We get it; the buildings are historic and need to be preserved. Whether we get a call from the new courthouse on Hospital Drive or a small residence on the edge of town, our commitment is to the integrity of your property. Our technicians will repair any damage incurred by the pests, clean up any droppings, and restore the building to its former glory. If you suspect raccoons have broken in your home or you are hearing noises in the attic or walls in the morning or evening, you should call the professionals at Georgia P.A.W.S. We the experts in eliminating nuisance wildlife problems. With our effective and highly tested techniques, our professionals can diagnose your problem, trap and remove the raccoons, and provide the necessary repairs to cover holes and construction gaps that may be allowing them entry into your home. If you are a resident of Douglasville GA and are in need of raccoon trapping services please give us a call. As a part of our Douglasville wildlife control services, Georgia P.A.W.S will provide a free inspection of your house to determine where the bats are entering and where they are roosting. Next, we will seal your home at all possible entry points such as exhaust vents, gable vents, roof vents and the construction gap around the house (The construction gap is a gap left by the builder between the roof decking and facia board.) After the house is sealed, a bat valve or bat curtain will be hung at the point of entry. This will allow any bats in the house to get out; but none will be able to get back in. If you are an Douglasville GA resident and are in need of bat removal services please contact us. Did you know that the flying squirrel’s teeth, just like the teeth of a regular squirrel, never stop growing? Because of this, they must gnaw on things in order to keep them filed down! Flying squirrels become a nuisance when they get into our homes and other buildings and begin causing structural damage, chewing electrical wiring, and leaving their droppings to contaminate our insulation. If you are an Douglasville GA resident in need of flying squirrel trapping services please give us a call. Rodents in your home or place of business can do more harm than you realize. A rodent in your home can spread diseases to your house pets and ruin your insulation. And in your place of business, you can be legally liable – at a high cost – for damaged stock, contaminated foods, health code violations, or other consequences. If you are Douglasville GA resident and are in need of rat trapping services please give us a call. Squirrels can be one of the most destructive animals that get inside homes. They often gnaw on wood, cables and electrical wiring. The gnawing of wiring is perhaps the scariest damage they do. The stripping of the insulation from the wires increases the chances for a short and the risk of fire. In fact, squirrels are responsible for thousands of house fires each year. If you are a resident of Douglasville GA and are in need of squirrel trapping services please contact us. Why Choose Georgia PAWS in Douglasville GA? Douglasville, GA is a small town right outside of Atlanta. 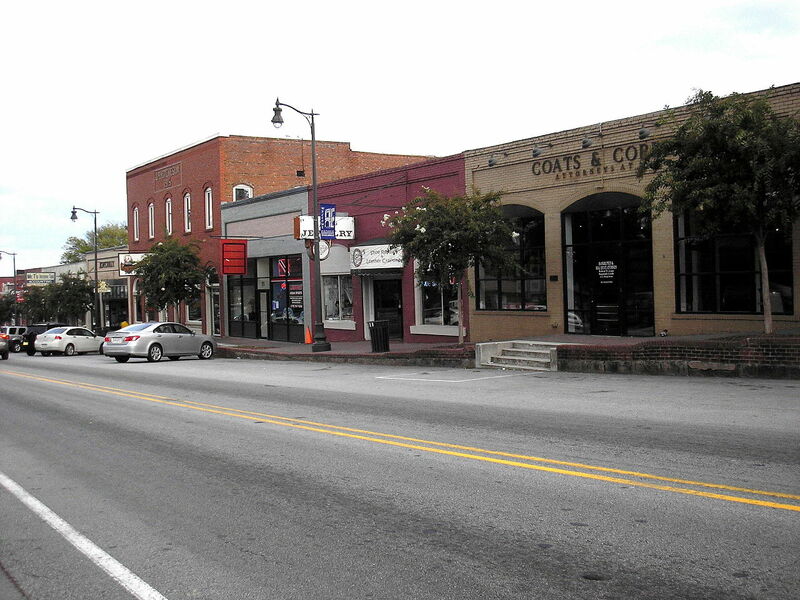 From shopping to dining, Douglasville has it all. The nearby Robert G. Hunter Memorial Park is the perfect place for relaxing, taking your kids to play or just to exercise. There is also much to do in the form of entertainment. In the ever-changing Georgia climate, wildlife can easily become a problem in your home. If this happens, Georgia PAWS has a quick and efficient solution. For immediate service, call us to speak to a service representative now. Georgia Pest and Wildlife Specialist is your Douglasville wildlife control specialist. In Douglasville Call: 678-313-3781. Georgia P.A.W.S’ mission is to humanely control wildlife in order to prevent the spread of diseases and to help in safely removing wild animals from residences and businesses. Because the population is rapidly increasing in Georgia, wild animals are being run out of their natural habitats. They are forced to take up residence in areas greatly populated by humans and in many cases, in the same structure. This is creating an increased need for nuisance wildlife removal. At Georgia PAWS, we are committed to providing humane wildlife removal. We live trap and relocate animals to lesser populated areas, more suited for their survival. When you have unwanted wildlife or rodents, call the Douglasville wildlife control specialist – Georgia PAWS!